Hello dear Friends! 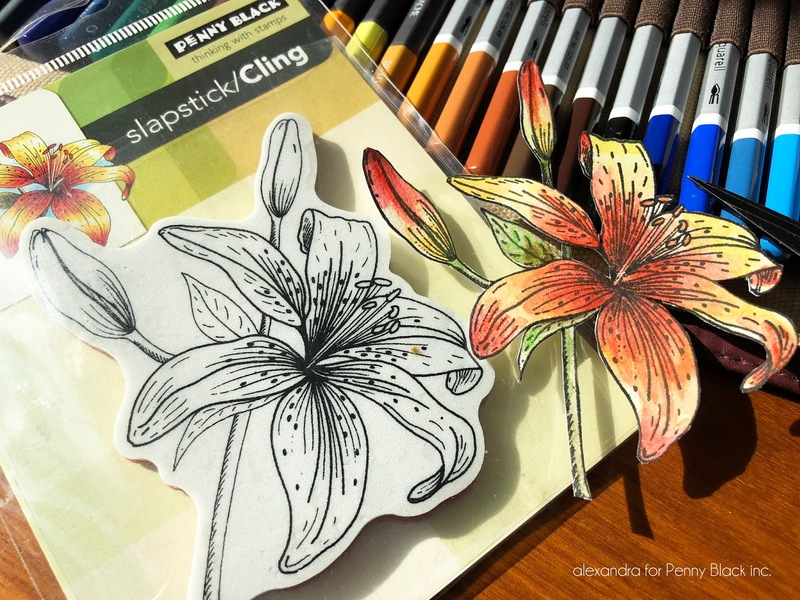 Welcome to another edition of scrapbooking with Penny Black inc. products. I don’t know about you but I’m in need of both flowers and warm colors. Today, I thought I would share a card using the gorgeous Tiger-Lily #40-199 and the new Smile Today #30-461 for the sentiment. I hope you’ll join me over @ art scrap & more. Thank You! How beautiful!! Love how realistic the Tiger Lily is! That Tiger Lily looks like it just got picked fresh from the garden.